From Creme de la Creme, we move on to the other two sheerer (dessert) shades, Sweet Creme and Creme Caramel. 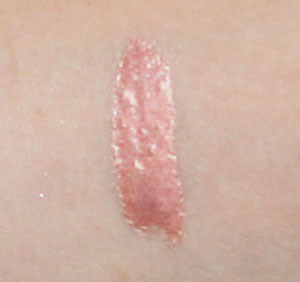 As you can see from the swatch, Sweet Creme is basically a clear gloss with just the slightest hint of pink in it. Again, something I probably wouldn't pick up based on the swatch alone. Yet, this is the shade Dustin thinks everyone should own. 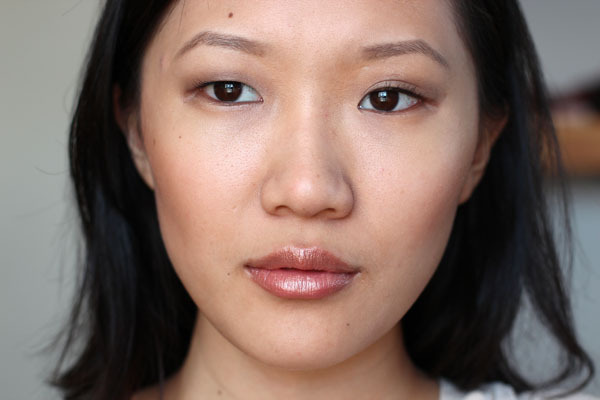 Sweet Creme adds warmth when layered over another lip color. The next, Creme Caramel, is a crowd pleaser. Like Creme de la Creme, Creme Caramel brightens and softens the color beneath it. The added bonus to this color is, and I quote Dustin, that it "goes with anyone." In my opinion, Creme Caramel is the most aptly named lip creme in the lineup. The color, accompanied by the vanilla scent common to LMdB lip cremes, reminds me of creme brulee. 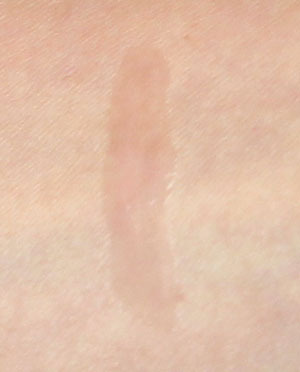 Creme Caramel is beige-gold and has a metallic gleam when applied to the lips. In the photo below I applied a thin layer of Creme Caramel and sheered it out on my lips, but you could easily build it up to achieve a foil-like effect. 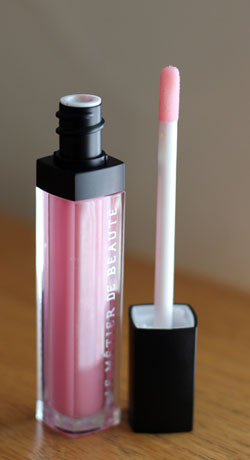 As mentioned, Le Metier de Beaute Lip Cremes are creamy, lightweight, and faintly sticky. They feature a heavy vanilla scent that initially put me off, but over time I've learned to enjoy it. 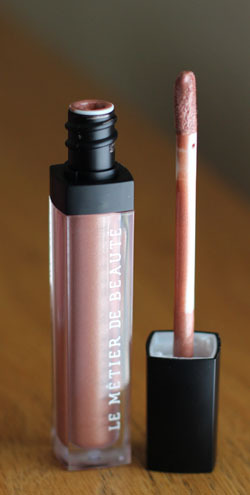 Lip cremes are as easy to apply as your typical doe foot swipe-and-go gloss. Sweet Creme and Creme Caramel have a decent weartime of about 4-5 hours on my lips. They retail for $36 a pop. I am SO excited that you're swatching these. I don't have a counter close to me, and these are definitely something that I'd like to see before purchasing. They're both lovely ... now which shade to choose? @Jessica creme caramel's more unique :) but do come back throughout the week for the rest (and the tutorial)! I think the finish of these is so interesting. I'm not going to feel at all guilty about buying them because I don't think I have anything quite like it! =) They all look so lovely on you! Ooh, Creme Caramel is gorgeous! Must look for it the next time I'm at the LMdB counter :) Both of these look great on you! @Kayla Awesome! I bet you'll like Fraise and Cocoa Creme as well.